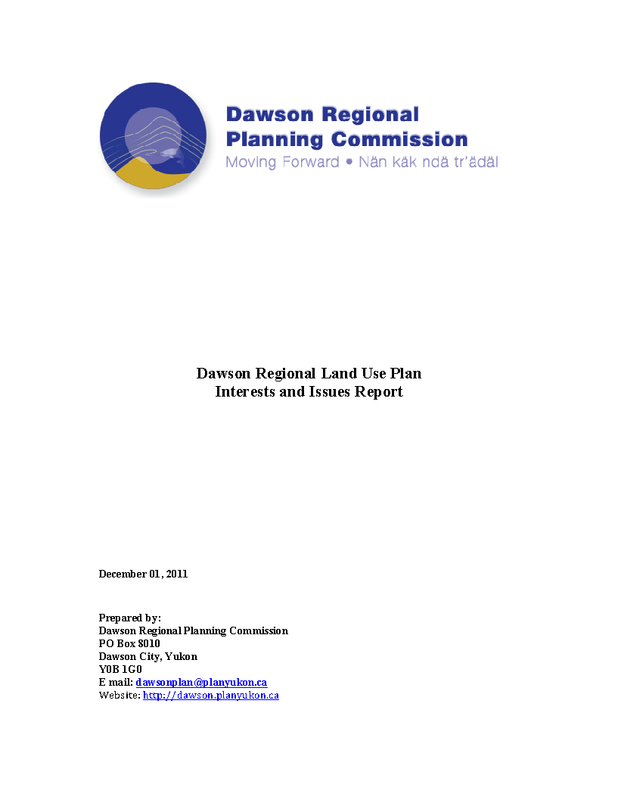 The Dawson Regional Planning Commission has just wrapped up the public consultation on their Plan Alternatives. After several months of working with the Yukon,Tr'ondëk Hwëch'in and Vuntut Gwitchin First Nation Governments and stakeholders, the Commission produced five plan alternatives that sketch out different possible directions the Draft Plan may take. After the review period ended on March 2, 2014, the Commission will now consider all the feedback and start to develop a Draft Plan that will likely be based on one or more alternatives. 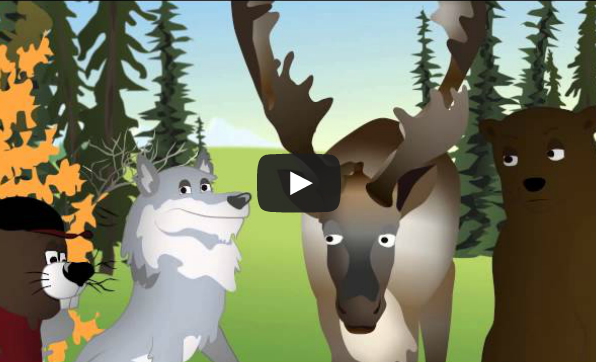 The staff of the Yukon Land Use Planning Council contributed analytical and administrative support to this project. 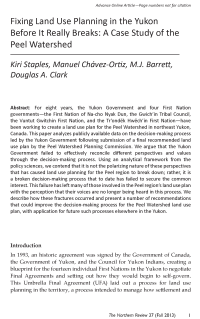 The academic journal the Northern Review recently published a case study of part of the Peel Watershed Planning Process - specifically that led by the Yukon Government upon receipt of the pdf Final Recommended Plan (13.26 MB) . This analysis provides a number of lessons for future regional planning processes. 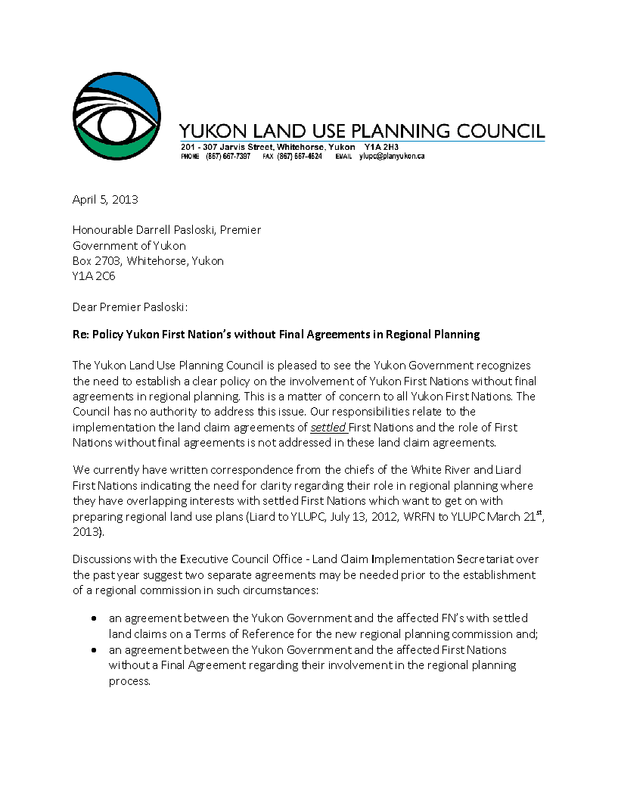 Links to this article are provided here to foster discussion of regional planning processes, and does not necessarily reflect the views of the Yukon Land Use Planning Council. To consider the merits of Structured Decision Making during the production of a Recommended Land Use Plan. We reviewed the numerous flip charts, recordings and notes from the workshop, and made a summary. 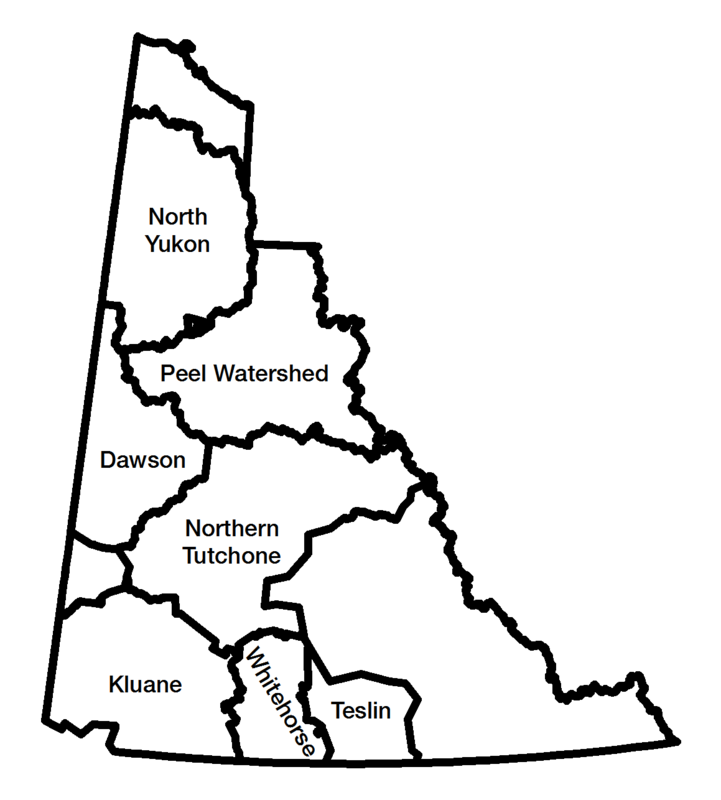 On April 10th, the Yukon Land Use Planning Council provided its review and comments on the approval process for the Peel Watershed Regional Land Use Plan to the Yukon Government and First Nations around the watershed. The Council routinely provides reviews and comments on regional planning products and processes throughout regional planning processes. The letter can be downloaded and read pdf here (676 KB) . 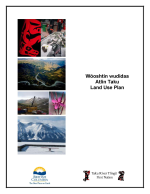 On November 17th, 2011, the Council hosted a forum on the Atlin Taku Land Use Plan. 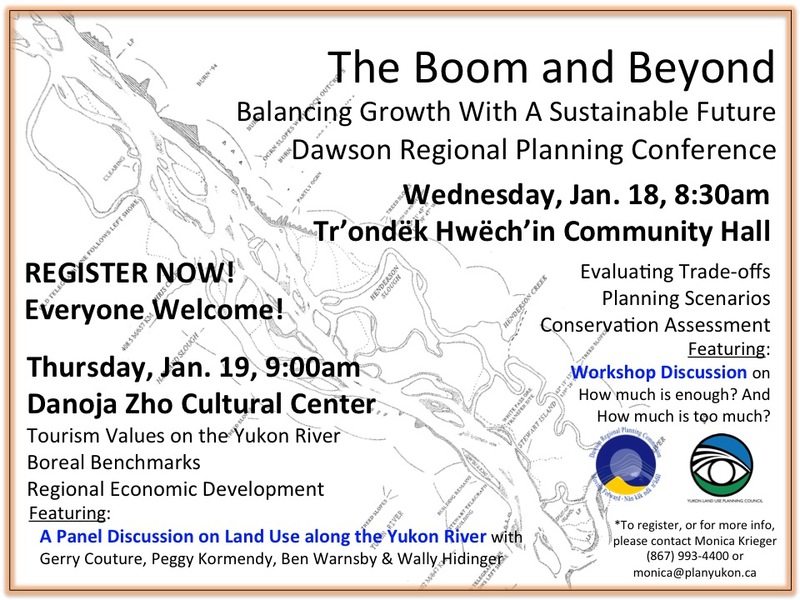 The purpose of this forum was to understand the process by which the Province of British Columbia and the Taku River Tlingit First Nation developed the Atlin Taku Land Use Plan and to identify the relevant “lessons learned” that may be beneficial to land use planning in the Yukon. Presentations and other documents from this forum are found here. The land use plan itself, the Land and Resource Management and Shared Decision Making Agreement and related documents are found on BC's website here. 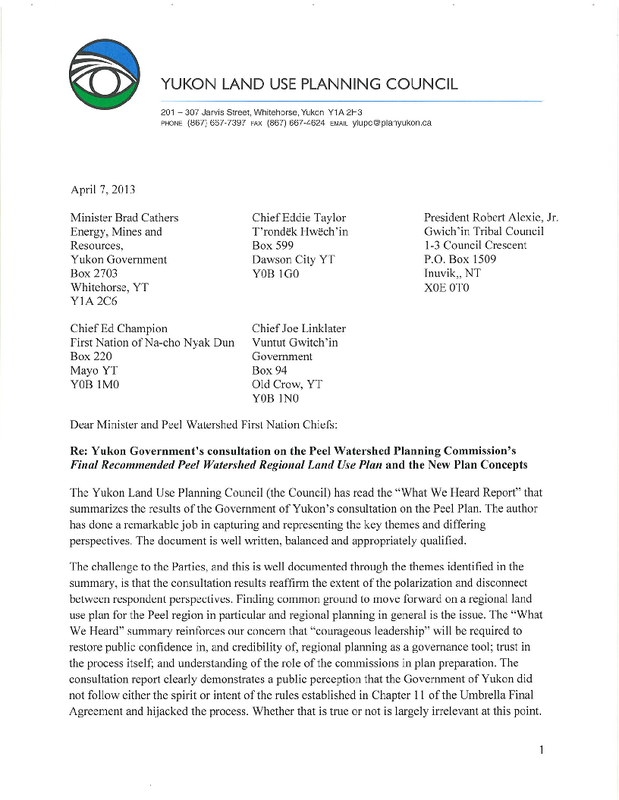 The pdf Final Recommended North Yukon Use Plan (14.36 MB) was the last planning document by the North Yukon Planning Commission. Once the Parties (Vuntut Gwitchin and Yukon Governments) made slight modifications and approved it, this plan became the North Yukon Regional Land Use Plan, or the Approved Plan. Therefore, the Parties distribute this version on their site. As a courtesy to the Parties, the Council assists with updates of this plan, as needed. These updates will be posted in our documents section folder here . 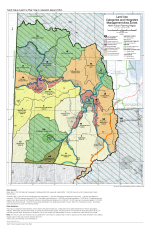 The first such revision was to update Map #1 which depicts the land use categories. In particular, the areas withdrawn from staking where updated to reflect changes since the Plan was published.